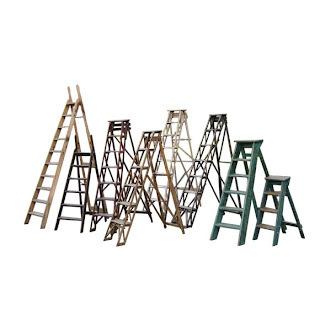 This collection of English country ladders are available in America on 1stdibs. I would think we bought as many as this on our buying trip! 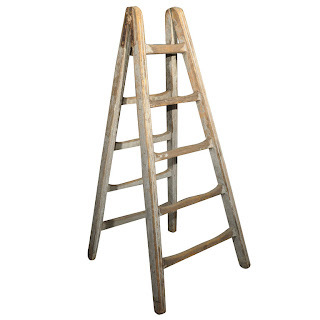 We love ladders, from the more refined faux bamboo ladders to the English country farmhouse steps, not to mention French orchard ladders. 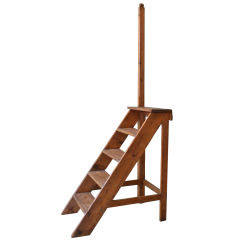 I love these folding ladders as they make a great display shelf (just add some planks across the steps). The one above is on 1stdibs, the one below is one of two that we bought - one has original green paint, the other is waxed pine. Both will have a few planks with them as shelves. Donna bought a ladder very similar to the one above. I love the complex construction. Not only does it look great, it makes them very, very strong. 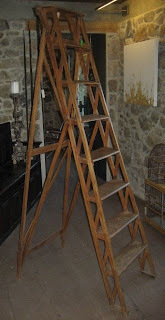 This is the French faux bamboo ladder that I bought last year from our store. It is now in my kitchen and I use it to reach into my high cupboards. It is very strong as it is not bamboo, but oak made to look like bamboo. 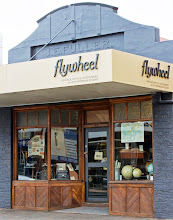 There is one on 1stdibs at the moment, I bet it would cost a small fortune! 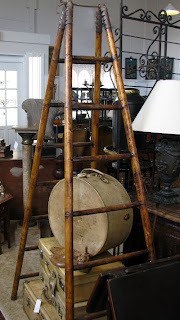 We have a tall pine faux bamboo ladder in our shop at the moment with hooks at the top (not folding). It would look great in a library, hallway or bathroom. And we also bought another darker coloured one (see previous post). And I have saved the best for last. 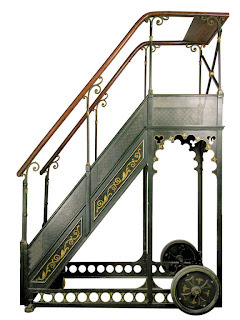 This is the dreamiest ladder of all time and is also on 1stdibs. And I would think that this one would not cost a small fortune, but a large one! How gorgeous is that last ladder it would indeed cost a large fortune. 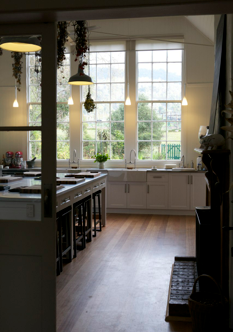 Love the ladder you are using in your own kitchen.